All roads lead to adventure. No matter what road you travel, or what your next adventure is, there’s a good chance that a Mazda SUV could be the first step in your journey. Mazda’s offerings within the sports utility class are distinctive and innovative, with unique styling and design notes that set them apart from the offerings of other manufacturers. This process begins with artisanal design. In an era of digital 3D rendering, it is breathtaking to think that the exterior of each Mazda SUV is first sculpted (to scale) from clay. This imbues each vehicle with a sense of humanity and time-honored craftsmanship that could never be simulated (even by the most talented programmer). 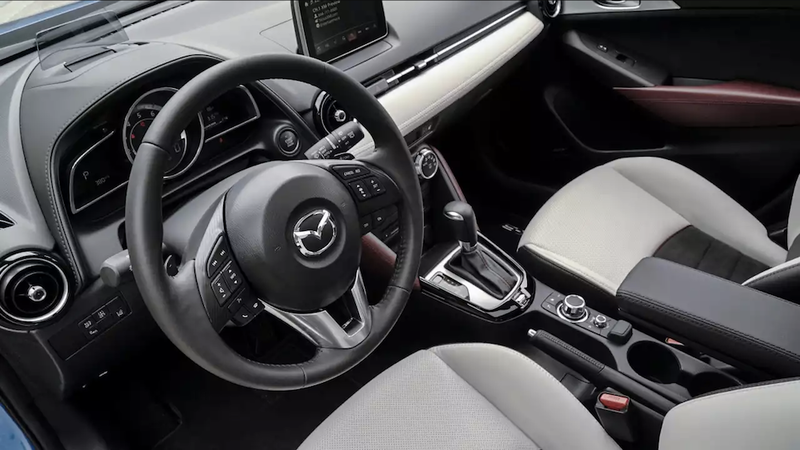 Combined with evocative design influences, which are evident throughout their beautifully composed interiors, Mazda SUV’s successfully embody their joyful intention. This design initiative is known as ‘KODO’ (Soul of Motion). The resulting contours, although based in simplicity, convey a sense of energetic forward motion. Echoed through each of their SUV models, the intention unifies the line within an overall vision; and yet, each manages to retain a sense of individuality, personality, and purpose. Kicking things off is the Mazda CX-3 which, in its second model year, infuses the lineup with a tangible sense of fun. This is where the joy of Mazda SUV begins, but the appeal is far more than just aesthetic. Available in both front and all-wheel drive, the CX-3 is immediately accessible with a starting MSRP of $19,960. Powered by a 2.0-liter four-cylinder engine, the CX-3 delivers a respectable 146 horsepower with a well-matched 146 lbs-ft of torque. With quicker-than-average acceleration for the vehicle class, the CX-3 also offers a segment-leading fuel economy with an EPA estimate of 31mpg (combined). Even more impressive is the fact that this estimate can be duplicated in real-word driving. Precision handling adds to the CX-3’s sense of athleticism, keeping it true to Mazda’s intent to inspire joy. Available in three trim levels (Sport, Touring, and Grand Touring) the CX-3 seats five. Regardless of trim level, it is equipped with a 7-inch touchscreen that can also be navigated via the control knob, placed accessibly on the central console. On the (base) Sport trim, you can expect Bluetooth-enabled phone and audio, a six-speaker sound system (complete with CD player, USB, and auxiliary inputs and internet radio). Factor in voice control features, and Mazda’s mission to help drivers love their cars becomes surprisingly clear, even at this base trim. Stepping up to the Touring trim upgrades the 16-inch wheels to 18 inches. Enhanced with leatherette trim, the interior creates an even more welcoming environment for passengers and drivers, alike. The latter benefits further from blind-spot monitoring and rear cross-traffic alert (although we’re sure that passengers will appreciate the added assurance of safety, as well). Sitting atop the line, the Grand Touring offers notable upgrades. A seven-speaker Bose audio system pumps HD and satellite-radio through a leather and suede upholstered cabin, accented by the sunroof. Drivers will appreciate upgraded instrumentation, with head-up display and a built-in navigation system, as well as the inclusion of LED headlights, fog lights, and taillights. With shorter-than-average braking distance (121 ft from 60mph), the standard antilock brakes are complimented by stability and traction control. With additional safety features available within the Touring and Grand Touring trim levels, the CX-3 balances the joy of driving with the assurance of safety, earning enthusiastic recommendations. Maintaining its reputation as one of the best all-around small SUVs on the market, the CX-5 enhances its driver-centric approach with a overall refinement of design. The result is an upscale feel which compliments the crisp, responsive handling for which the CX-5 is known. Available in the same three trim levels, the (base) CX-5 Sport is priced to start at $24,045. Powered by a 2.5-liter four-cylinder, it delivers 187 horsepower with 185 lbs-ft of torque. And with the heightened performance (in comparison to the more conservative CX-3) it delivers the same overall fuel economy, which is certainly worthy of note. With prompt acceleration, assured braking and responsive handling, the CX-5 is deserving of the esteem in which its held. In many ways, the trim levels are structured in a similar fashion to the CX-3 (aside from starting with 17” wheels). That said, the CX-5 Touring marks a significant increase of features over the Sport (falling closer in-line with the CX-3 Grand Touring). In turn, the CX-5 Grand Touring is a well-embellished package, boasting 19-inch wheels, automatic turn-swiveling headlights, moonroof and power liftgate among its countless amenities. Overall, the CX-5 provides a comfortable, low-noise environment. Driver-centric design assures utmost comfort for driver and front passengers, providing ease in entering and exiting the vehicle. Available storage space meets the expectations of the crossover segment, and can be further enhanced by the flat-folding (40/20/40) rear seats. Finally, an above-average 2,000-lb towing capacity makes the CX-5 a worthwhile contender for anyone shopping road-friendly SUVs. With 3-row seating for seven passengers, the CX-9 sits confidently at the top of the Mazda SUV offerings. With the (base) Sport trim starting at $31,520, the trim levels are further delineated with a top-of-the-line Signature option at a starting MSRP of $44,315. In doing so, Mazda caters to the full gamut of consumer expectations, and exceeds some as it flirts with a more refined luxury-inspired styling. The 2.5-liter 4-cylinder is present in all trim levels, delivering a capable 250 horsepower and 310 lbs-ft of torque. As with the CX-3 and CX-5 before it, the EPA estimate of 23 mpg (combined) can be easily replicated in daily driving. The Grand Touring and Signature trims are worthy of praise. Riding on 20-inch wheels, these trim levels include nearly all of the features explored by the other models. The former doesn’t skimp. In addition to a plethora of enhanced driver assist features, the interior receives aluminum trim and enhanced lighting, along with a 12-speaker Bose premium sound system. The latter (offered as all-wheel drive, standard) further enhances the interior with premium leather upholstery and rosewood trim. And in terms of performance, the CX-9 will surprise you. Driving like a smaller, sportier vehicle, its precise and nimble handling are matched with firm and reliable braking. Responsive in every way possible, it is an impressive fusion of performance and innovative design within the segment. Understanding the power of even the smallest detail, Mazda’s success in creating standout offerings within the over-saturated SUV class is worthy of applause. Whereas other manufacturers might find themselves mirroring competing styles and features in an attempt to retain relevance, Mazda design reflects a clear and fearless intent to stand apart. 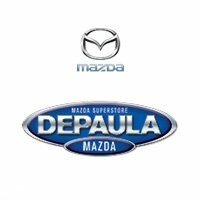 Considering that your life and needs are equally as unique, it may be worthwhile to consider a Mazda SUV. After all, your next adventure awaits; why not find the joy in your journey?